For the ethnic group, see Hindkowans. Not to be confused with Hindki or Hindi. There is a nascent language movement and Peshawari, the urban variety of Peshawar, has become the basis of an emerging standard literary language. The name Hindko means "the Indian language" (in contrast to neighbouring Pashto). Hindko is closer to Saraiki than to Standard Punjabi. Differences with other Punjabi varieties are more pronounced in the morphology and phonology than in the syntax. The central dialect group of "Hindko proper"[lower-alpha 2] comprises Kohati (spoken in the city of Kohat and a few neighbouring villages in Khyber Pakhtunkhwa) and the three closely related dialects of Attock District, Punjab: Chacchi (spoken in Attock and Haripur Tehsils), Ghebi (spoken to the south in Pindi Gheb Tehsil) and Awankari (spoken in Talagang Tehsil, now part of Chakwal District). Rensch's classification based on lexical similarity[lower-alpha 3] also assigns to this group the rural dialects of Peshawar District. Shackle, however, sees most[lower-alpha 4] of them as closely related to the urban variety of Peshawar City. In a group of its own is Peshawari,[lower-alpha 5] the prestigious urban variety spoken in the city of Peshawar and the one that is promoted as a standardised literary language. It has a wide dialectal base and has undergone the influence of Urdu and Standard Punjabi. 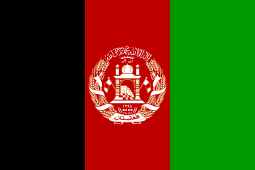 A separate group is formed in the northeast by the relatively homogeneous dialects of the Hazara region. They are known as Kaghani, "Northern Hindko" or "Hazara Hindko", and are classified by ethnologue as a separate language. Testing of intelligibility has revealed two groups of dialects: a northern group comprising the dialects of "Northern Hindko" and a southern group encompassing the rest. The southern dialects are more widely understood throughout the Hindko area than are the northern ones. Hindko is closely related to several other varieties of "Greater Punjabi", especially the Dhani dialect of Chakwal. To the south, across the Salt Range are found the dialects of Saraiki. One of these – the variety spoken in the Dera Ismail Khan District is variously referred to as either "Hindko" or "Siraiki". The speakers of Hindko live primarily in seven districts in noerthern Pakistan: Mansehra, Abbottabad, Haripur, Peshawar, Nowshera, Akora Khattak, Swabi and Kohat in Khyber Pakhtunkhwa, Attock and Rawalpindi in Punjab, and parts of Pakistan-administered Kashmir including Muzaffarabad. Jonathan Addleton states that "Hindko is the linguistic majority in the Khyber Pakhtunkhwa, represented in nearly one-third of the province's total households." 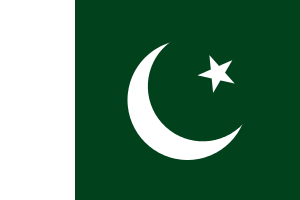 (Pakhtunkhwa referring to Khyber Pakhtunkhwa Province.) According to the 1981 census, Hindko-speaking households accounted for 92.3% of households in Abbottabad District, 46.8% in Mansehra District, 6.9% in Peshawar District and 10.4% in Kohat District. Hindko is also spoken in Afghanistan by the Hindkois and the Hindki people. There is no generic name for the speakers of Hindko because they belong to diverse ethnic groups and tend to identify themselves by the larger families or castes. However the people of the largest group in the districts of Haripur, Abbottabad, Mansehra, Battagram and Kohistan are sometimes recognised collectively as Hazarawal, named after the defunct Hazara Division that comprised these districts. In Peshawar city they are called Peshawari or "Kharay" by Pashtuns meaning City-dwellers. The most common second language is Urdu and the second most common one is Pashto. In most Hindko-speaking areas, speakers of Pashto live in the same or neighbouring communities (although this is less true in Abbottabad and Kaghan Valley). The relationship between Hindko and Pashto is not one of stable bilingualism. In terms of domains of use and number of speakers, Hindko is dominant and growing in the northeast, whereas in the southwest it is losing ground. In recent years, the migration of the people from the Hazara region to the plains of Punjab and intermarriages has brought Hindko even closer to standard Punjab.. The Gandhara Hindko Board is a leading organisation that has been active in the preservation and promotion of the Hindko and culture since 1993. The board was launched in Peshawar in year 1993 to preserve and promote Hindko —the second most spoken of the Khyber Pakhtunkhwa Province of Pakistan. It brings out four regular publications— Hindkowan, The Gandhara Voice, " Sarkhail" and "Tarey" and a number of occasional publications. Late professor Zahoor Ahmad Awan of Peshawar city, the author of 61 books and publications, was the founding-chairman of the board. Now the board is headed by Ejaz Ahmad Qureshi. The board has published first Hindko dictionary and several other books on a variety of topics. With head office in Peshawar, the organisation has regional offices in other cities of the province where Hindko is spoken and understood. The organisation has arranged a number of mega events to raise awareness among the Hindkowans about the importance of their language and culture. The board seeks respect for and due attention to all the languages spoken in Gandhara. In 2003 the Gandhara Hindko Board published first a Hindko dictionary which was compiled by a prominent linguists from Abbottabad, Sultan Sakoon. The board published a second more comprehensive Hindko dictionary in 2007 prepared by Elahi Bakhsh Awan of the University of London. He is the author of Sarzamin e Hindko, and Hindko Sautiyat. His three booklets on Hindko phonology were published by the University of Peshawar in the late 1970s. The Idara-e-Faroghe Hindko based in Peshawar is another body that is promoting the Hindko. Riffat Akbar Swati and Aurangzeb Ghaznavi are main people of this organisation. The Idara has published the first Hindko translation of the Quran by Haider Zaman Haider and the first Ph.D. thesis on Hindko by E.B.A. Awan. A monthly magazine Faroogh is also published regularly from Peshawar under supervision of Aurangzeb Ghaznavi. In Karachi Syed Mehboob is working for the promotion of Hindko. His articles are frequently published in Farogh monthly. He is organiser of Hindko Falahi Forum. Many organisations like Bazm-e-Ilm-o-Fun Abbottabad and Halqa-e-Yaraan Shinkyari are contributing in their own way to the cause of promoting Hindko and literature. Asif Saqib, Sufi Abdur Rasheed, Fazal-e-Akbar Kamal, Sharif Hussain Shah, Muhammad Farid, Yahya Khalid, Nazir Kasalvi, and Muhammad Hanif have contributed a lot in this regard. Sultan Sakoon has written the First Hindko dictionary that has been published by Gandhara Hindko Board. Sultan Sakoon stands out for his literary contribution as he is a prolific writer and his books including those on Hindko proverbs and Hindko riddles have been published. ↑ The term Hindki normally refers to a Hindko speaker and Shackle (1980, p. 482) reports that in Pashto the term has slighly pejorative connotations, which are avoided with the recently introduced term Hindkūn. ↑ Hammarström, Harald; Forkel, Robert; Haspelmath, Martin; Bank, Sebastian, eds. (2016). "Hindko". Glottolog 2.7. Jena: Max Planck Institute for the Science of Human History. ↑ Rensch 1992, p. 4. ↑ Shackle 1979, p. 198. ↑ Shackle 1980, pp. 486, 497, 509: "an incipient literary standard for the different varieties of NWFP 'Hindko'". ↑ Shackle 1980, p. 482. ↑ Shackle 1979, pp. 200–1. ↑ Shackle 1980, p. 486. ↑ Shackle 1980, pp. 484–86. ↑ Rensch 1992, pp. 57, 85. 1 2 Rensch 1992, pp. 55–56. ↑ Shackle 1980, pp. 497–98. ↑ For its literature and status in Khyber Pakhtunkhwa, see Shackle (1980, pp. 486, 509); for the emerging prestige of Peshawari in Hazara, see Rensch (1992, pp. 76–77). ↑ Shackle 1980, p. 497. ↑ Shackle 1980, p. 509. ↑ Shackle 1980, p. 485. ↑ Rensch 1992, p. 56. ↑ Rensch 1992, pp. 58–62. ↑ Shackle 1980, p. 484. ↑ Rensch 1992, pp. 7–8, 57. ↑ Addleton 1986, pp. 58–59, quoted by Rensch (1992, p. 5). ↑ Rensch 1992, p. 80. ↑ Rensch 1992, pp. 4–5. Addleton, Jonathan S. (1986). "The Importance of Regional Languages in Pakistan". al-Mushir. 28 (2): 58–80. Rensch, Calvin R. (1992). "The Language Environment of Hindko-Speaking People". In O'Leary, Clare F.; Rensch, Calvin R.; Hallberg, Calinda E. Hindko and Gujari. Sociolinguistic Survey of Northern Pakistan. Islamabad: National Institute of Pakistan Studies, Quaid-i-Azam University and Summer Institute of Linguistics. ISBN 969-8023-13-5. Shackle, Christopher (1980). "Hindko in Kohat and Peshawar". Bulletin of the School of Oriental and African Studies. 43 (3): 482–510. doi:10.1017/S0041977X00137401. ISSN 0041-977X. 1974: Phonology of Verbal Phrase in Hindko, Dr E.B.A. Awan published by Idara-e-Farogh-e-Hindko Peshawar in 1992. 2004: Hindko Sautiyat, Dr E.B.A. Awan, published by Gandhara Hindko Board Peshawar in 2004. 2005: Hindko Land - a thesis presented by Dr E.B.A. Awan at the World Hindko Conference at Peshawar in 2005. Monthly Farogh Peshawar Hindko magazine March 2010.